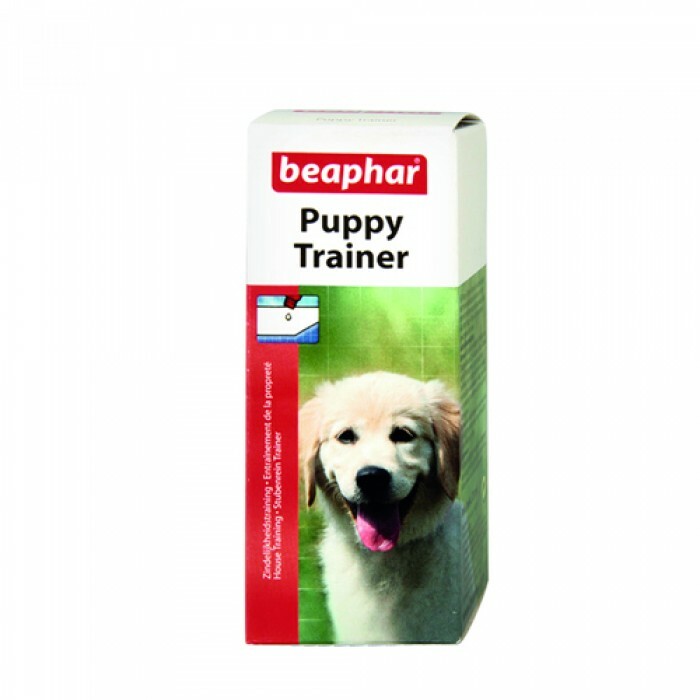 Product Information- Puppy Trainer is especially formulated to help house train your puppy by encouraging him to do his business in a place selected by you. Continuous use cultivates habits which result in a properly trained dog, so helping to protect valuable rugs, furniture and carpets. We recommend the use of this product in combination with Beaphar puppy pads. Sprinkle a few drops where you want your puppy to urinate or defecate such as old newspaper. Features-This product contains a pheromone based compound to potty train young pups. Specially formulated for easy housetraining and continuous use rewards you with a properly house-trained dog. Contains an unique smell that will attract your dog over time to urinate-defecate at the place this .